For any other questions and inquiries, please do not hesitate to contact us. PVD stands for physical vapor deposition. This is a process which applies a thin metal coating on a variety of substrates. How does PVD process work? The high-purity, solid coating material (metals such as titanium, chromium and aluminium) is either evaporated by heat or by bombardment with ions (sputtering). At the same time, a reactive gas (e.g. nitrogen or a gas containing carbon) is introduced; it forms a compound with the metal vapor and is deposited on the tools or components as a thin, highly adherent coating. In order to obtain a uniform coating thickness, the parts are rotated at uniform speed about several axes.The properties of the coating (such as hardness, structure, chemical and temperature resistance, adhesion) can be accurately controlled.The PVD processes include;arc evaporation and sputtering. PVD coating is a super-hard coating that is by far the most durable coating available today. Superior quality that will outlast any traditional finish. The PVD coating will not level or fill like an electroplated finish so surface imperfections will still be visible after the coating process. Polished or mirror surfaces are used to produce PVD polished finishes and brushed or satin surfaces to produce satin or matte PVD finishes. What is the thickness of the coating? What temperature is the part exposed to? Depending on the process, temperature can be controlled from 25°C to 60°C. Depending on the evaporated metal (target) and the mixture of reactive gases used during the PVD deposition process, different colors can be produced. The range includes but not limited to: brass tones, gold tones, black to grey, nickel, chrome, copper, and bronze tones. 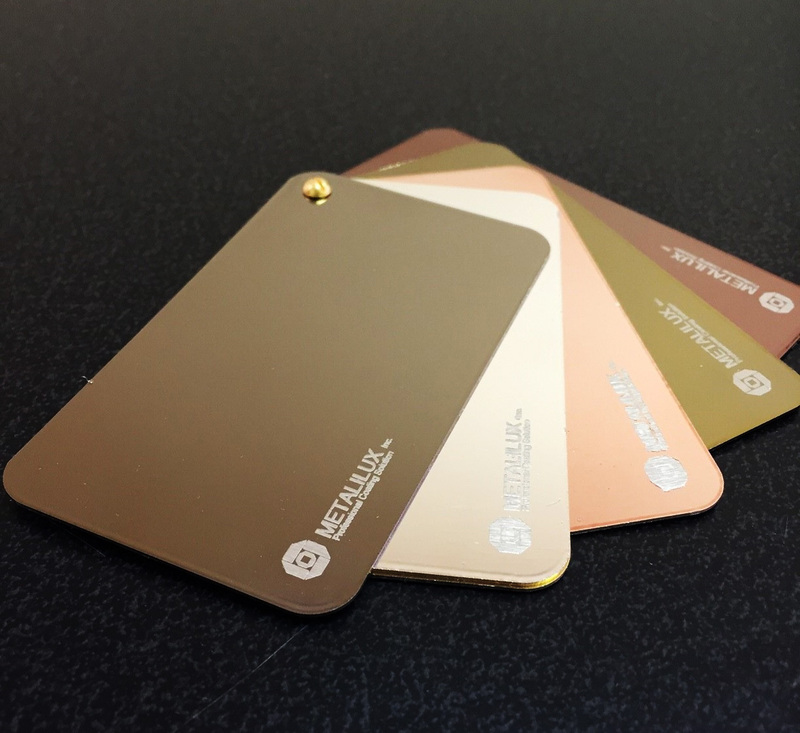 All these finishes are available in a polished, satin or matte finish. How do I clean PVD coated products? What is the largest item you can PVD coat? Our systems are capable of high volume coatings. Load Diameter = 70 inches or 1800 mm. Load Height = 78 inches or 2000 mm. Load Mass = 11000 lbs or 5000 Kg. How should I send my products? Product must be received clean: completely disassembled, dry, free of dirt, adhesive, oil, grease, powders, polishing compounds, wax, and foreign matters.